I'd always bug my boyfriend if we could try the Dim Sum at Bao Today because I'm a fan of Cantonese Cuisine. 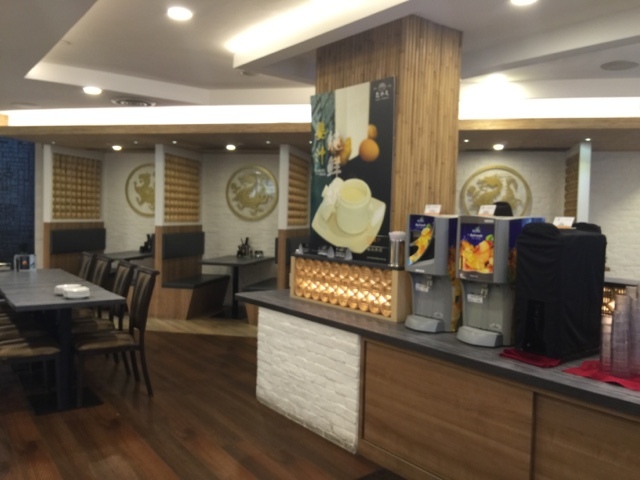 We never had the opportunity because we were always rushing from one place to the next... so when Fiona from OpenRice asked if we would like to join the other OpenRicers (Amie, Gareth, Jolin and Rachel) to try out the Tea Buffet, I was really elated! I never knew that Bao Today at Hotel Rendezvous is the only branch that serves high tea buffet... SMU, NAPFA, LaSalle and SoTA students— you guys are really lucky! 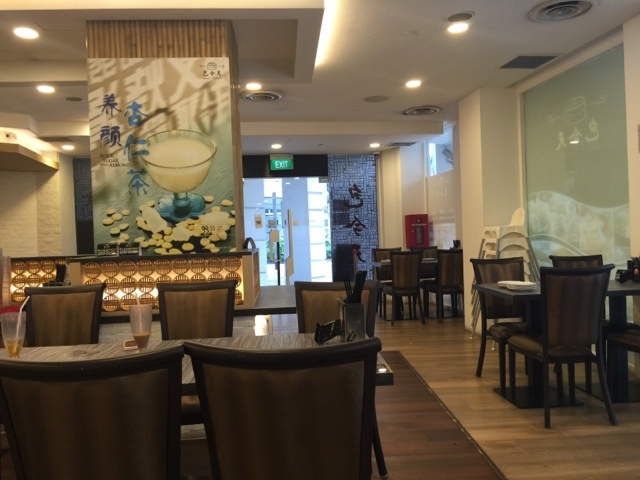 The 10-year old eatery is surprisingly spacious for a place located in town. There were nine of us, and we had the entire corner to ourselves! What intrigued me (and still do now) is the absence of a menu for the buffet. Can you imagine going for a buffet where you don't know what is served? This gives me the impression that Bao Today is really confident of their food. Their concept probably caters to the adventurous foodie, the ones who would boldly try new dishes and flavours. You don't order the things you want from any order chit-- be prepared to nod your head away when the friendly service crew comes over with a tray of piping hot Cantonese food. Anyway, indulge in these images of the wonderful spread! Here's a dim sum classic! The sticky rice is wrapped in a lotus leaf and steamed for really long hours. Quite filling, I'd say. 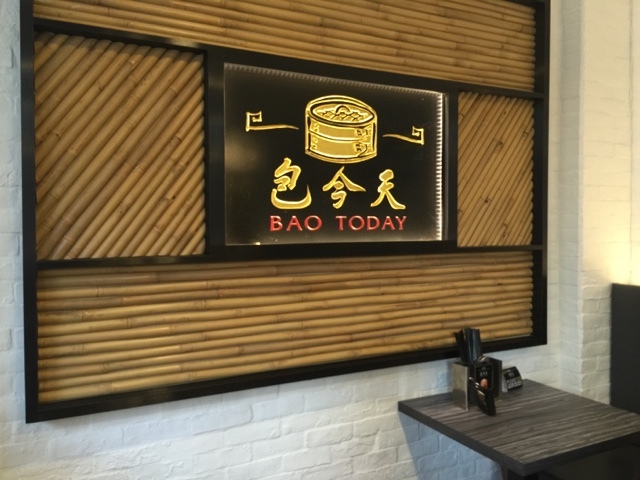 Of course, Bao Today does retain their Signature food for every buffet, such as their popular Liu Sh Bao (Custard Yolk Bun) and their Siew Mai (Steamed Pork Dumplings with Prawns). I have so much to rave about these dishes-- they've taken a traditional cantonese dimsum and gave it a unique, modern twist. 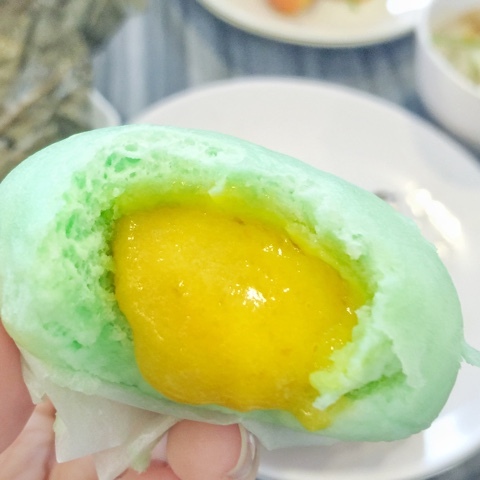 For example, the buns used for the Liu Sha Bao has pandan added into it. This gives it a really fragrant flavour, elevating the taste profile of the dish. Do not, I repeat, do not judge the appearance of the pork chop. To be honest, I thought the pork chop doesn't look very appealing. Well, they did put in effort for adding more colours using the red and green pepper! I was given a rude wake-up call by this heavenly dish-- it is so tender and juicy, and the sauce is perfectly balanced. Beware of dish hogging if you're with a large group of diners! The next favourite among the OpenRicers is the Nyonya Styled Steam Fish. I think the steamed wild cod fish fillet I've tried previously from WoPeng Cuisine tastes better though. But, the other OpenRicers kept re-ordering this dish again and again! Who knows you'd probably love it as well? The list of great tasty food continues with my favourite Har Gao (Prawn Dumplings). It's really fresh prawns contained in crystal white porcelain skin. Oh and do have the Wanton soup while it's still hot -- the taste actually changes very much when the soup has cooled. Unfortunately, I was TOO FULL to try the following items so I can't give you a review of how it tastes. This buffet is really highly recommended because it's so worth it! There's always another stomach for dessert. So I definitely wouldn't want to miss the Gui Lin Gao and Mango pudding! The Gui Lin Gao is extraordinary! This, however, is purely out of my own preference for really bitter desserts. Some complained the mango pudding was too sweet, others really loved it. 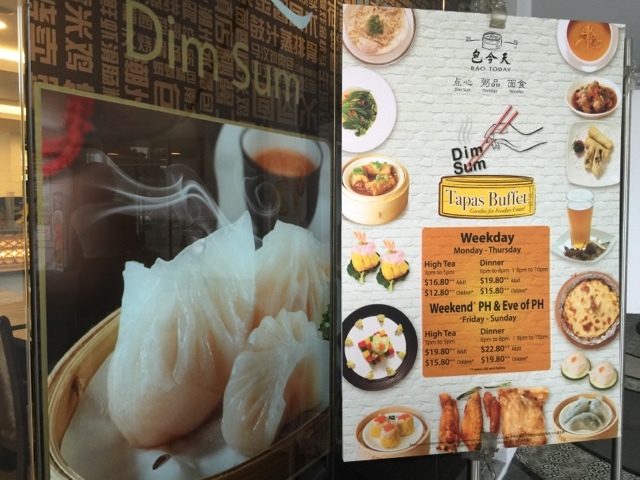 If you're looking for the most affordable and one of the best tasting dim sum buffet in town, Bao Today is a place you should consider trying. Personally, I really liked the place a lot! 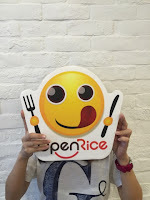 For more reviews on BaoToday, check out OpenRice!